These list the names of alumni for which we have no current mailing address. We know you’re busy and simply forget to let us know about a recent move. So, we send a Missing Persons List with each reunion letter, hoping that some classmate has your contact info and will let you know the details of your upcoming reunion. Here are the current Missing Persons Lists (pdf). 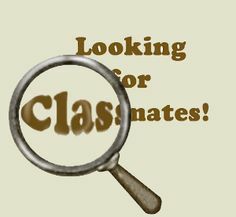 Take a look – maybe you can help us find these valued classmates.